Just like humans going through teenage years, dogs going through adolescence can be difficult to live with, especially when you compare them with how they used to be before puberty. Young puppies work hard to build relationships while adolescents are more focused on the outside world. All dogs are different but, usually, adolescence begins with puberty at around 6 months of age and continues until social maturity at about 18 months of age, although it does often get a little bit easier when they reach about 1 year old. 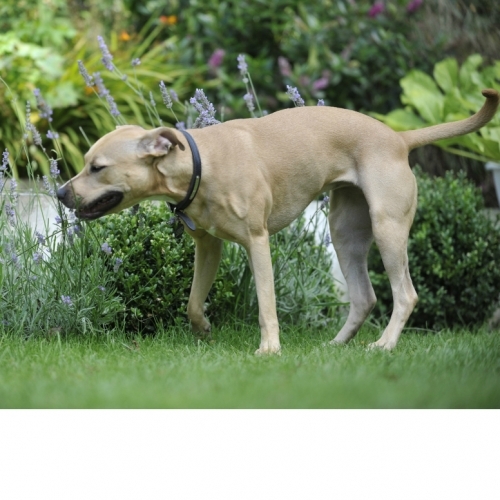 Smaller dogs usually enter puberty early and reach social maturity sooner, whereas the opposite is true for larger dogs, with some taking up to 2.5 years to become fully mature. Females tend to become socially mature more quickly, whereas males tend to mature more slowly. 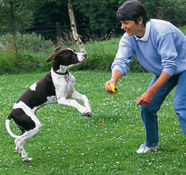 Major behavioural changes associated with adolescence usually only last for about 6 months after puberty, although it can take some dogs longer. 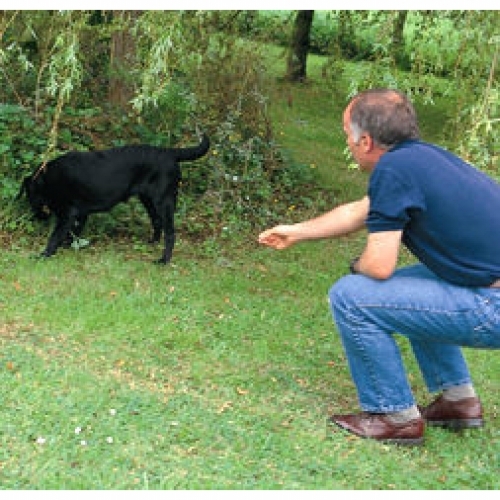 Normality is usually resumed in all dogs when they reach social maturity. Young puppies need us to care for them and work hard to keep our attention by being sweet and engaging. It’s easy for us to enjoy this but it makes it difficult to accept the marked change in attitude that occurs when puberty is reached and the hormones associated with reproduction begin to circulate. At this time, their focus naturally shifts to the outside world. Suddenly, finding out about their environment and what is in it becomes their top priority. Pleasing you is now less important to them than exploration, and they will begin to actively ignore you in favour of things outside. In addition at this time in their lives, their confidence develops and they grow bigger and stronger, and this can lead them into all sorts of trouble as they explore the world around them. During adolescence, male and female dogs may also get into trouble with other dogs as they begin to get to know and develop relationships with the other dogs that live in the area. If your dog begins to have aggressive encounters, keep away from unknown dogs or those he getting into scraps with and only allow interaction with those you know he can get on with. If your dog continues to be agressive to other dogs, go to 'Puppy Problems with Other Dogs And Puppies'. A common complaint during puppy adolescence is that they begin to be disobedient and 'naughty' at home, no longer responding to commands as readily. This is the time when many people give up on their dogs by putting them into rescue which is sad and unnecessary. Try to be sympathetic to thier need to be interested in things other than what you want, but keep up the training and play, increasing the value of the treats and games if necessary. (Go to 'How To Make Toys More Valuable'.) Adolescence is just a phase and when it is over and they begin to mature, they should return to a state where they are willing to please you again. During adolescence, one of the most common problems is not coming back when called on walks. The adolescent dog has other things to do. 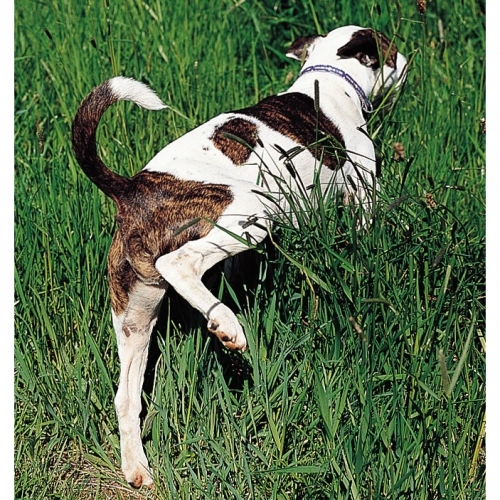 He/she will be exploring, sniffing to find out who and what has been in the territory, marking the territory with his/her own scent as well as interaction with other dogs. During this time, he/she will have all the energy and vigor of an adult dog but lacks the knowledge and experience that an older dog needs to stay out of trouble. Even if you had a good recall before, keeping him/her on a long line in places where he may be tempted to go off without you will prevent him/her ignoring you and getting into difficulties. You can buy long lines for this purpose from here. Adolescent puppies like to explore and may try to get out of the garden unless it is securely fenced. If confined to the house, they may chew much more as a way of exploring their environment and may begin to chew things they previously ignored. To counteract this, try to provide as much off lead exercise in new places as possible, taking them on new walks and providing plenty of stimulation by going to different places. In addition, when they are at home, give them lots of different things to chew and explore, ringing the changes frequently so they are kept occupied and so that they are less likely to chew things they should not. With the right attitude and perseverance, this phase will soon be over. You just have to live through the difficult time first when all your hard work at the baby puppy stage may seem to have been for nothing as your dog becomes rebellious, disinterested and disobedient. Fortunately, just as with children, adolescence is a phase that will come to an end. If you can just ride out the difficulties that adolescence presents, your dog will eventually mature and return to the loving, attentive dog you once knew. Keep up the play and training, use a long line to prevent him running off if necessary, and wait for it all to come to an end. Try not to make requests unless you are in a position to ensure that your puppy complies. Eventually, this stage will pass. Keep on trying to engage with him and develop your relationship with love and understanding while keeping expectation of him low and, eventually, adolescence will be over and a lovely mature dog will emerge.